Welcome to a new week.. and a new challenge. 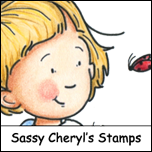 There's LOTS going on over at Sassy Cheryl's. 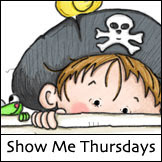 Have you seen the new sites! Cheryl has spent the last few weeks separating her digi images from her pre-colored images for easier shopping for her customers. The sites are now up and running so be sure to bookmark them and sign up for your new account. 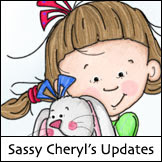 Sassy Cheryl's NEW Digis Shop! So, let's get to the fun for this week. Fairy Sparkle! Congrats to you... now you get to pick out more images from Sassy Cheryl's shop with your $5 gift certificate. Happy shopping and coloring! Just email Sassy Cheryl to arrange for your prize. Our hostess, Judy, set the stage for 'paper ribbon'.. just use some type of paper to create a ribbon embellishment. It's that easy. 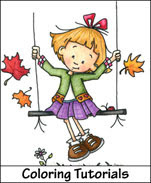 Here's what Judy and our sassy teammates have put together for this week's challenge. Got paper? Just make some ribbon and use it with a Sassy Cheryl image for your entry for this week's challenge. Enter just once... and we'll be by to say hello. Let us know if you have questions -- You have until next Monday evening about 7:00 EST to get your project linked up. Thanks, sassy friends! This is going to be SOOOOO much fun! Amazing inspirational cards ladies! Fairysparkle, congrats on the win. Just drop me an email and I'll take care of your GC for you! Come join in the fun girls. Great cards by the DT...all are so cute. Fun challenge. Love your new sites. Fun DT cards, as always! This is my first attempt at making my own paper ribbon. Thanks for the challenge, Judy! Just gorgeous cards ladies! Thanks for playing along this week!!!! Good luck in the drawing.